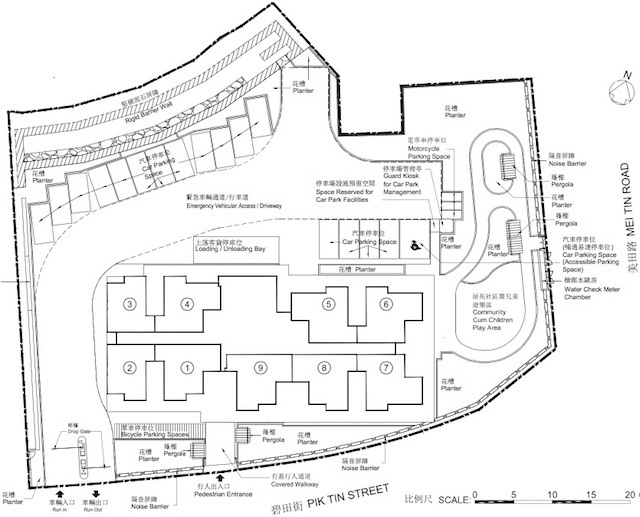 Mei Pak Court is first in Sha Tin of the five December 2014 HOS Project by Hong Kong Housing Authority. Mei Pak Court, 2 Pik Tin Street (map) will have a tower 36 storeys blocks with total of 288 dwelling units on a 0.3 Hectare plot (960 DU/ha). Mei Pak Court is located about 0.7 km from Tai Wan MTR station. 41 mins from Tsim Sha Tsui MTR Station (12 km away). Typical 450 sqft dwelling unit cost betwen HKD $2.8M (high floor) and $2.4M (low floor). Typical 370 sqft dwelling unit cost betwen HKD $2.4M (high floor) and $1.9M (low floor). Sha Tin Town Lot No. 582, 50 years lease commencing from 18 September 2014. Project to be complete by 2017. 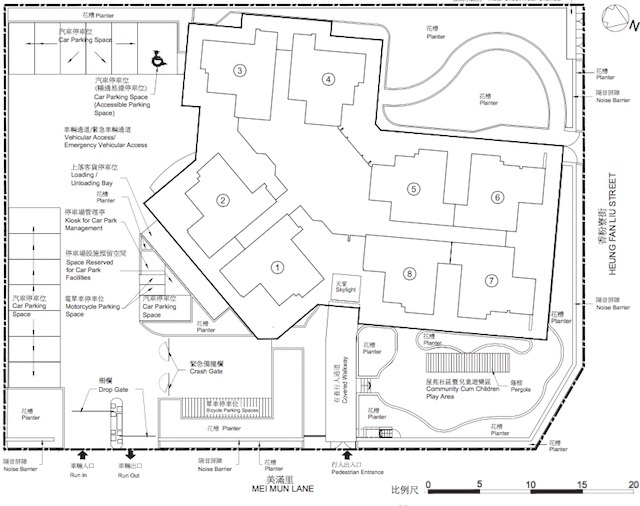 Mei Ying Court is second in Sha Tin of the five December 2014 HOS Project by Hong Kong Housing Authority. Mei Ying Court, 2 Mei Mun Lane (map) will have a tower 29 storeys blocks with total of 216 dwelling units on a 0.2 Hectare plot (1080 DU/ha). Mei Ying Court is located about 0.8 km from Tai Wan MTR station. 45 mins from Tsim Sha Tsui Station. Typical 450 sqft dwelling unit cost betwen HKD $2.8M (high floor) and $2.2M (low floor). Sha Tin Town Lot No. 583, 50 years lease commencing from 18 September 2014. Project to be complete by 2017.